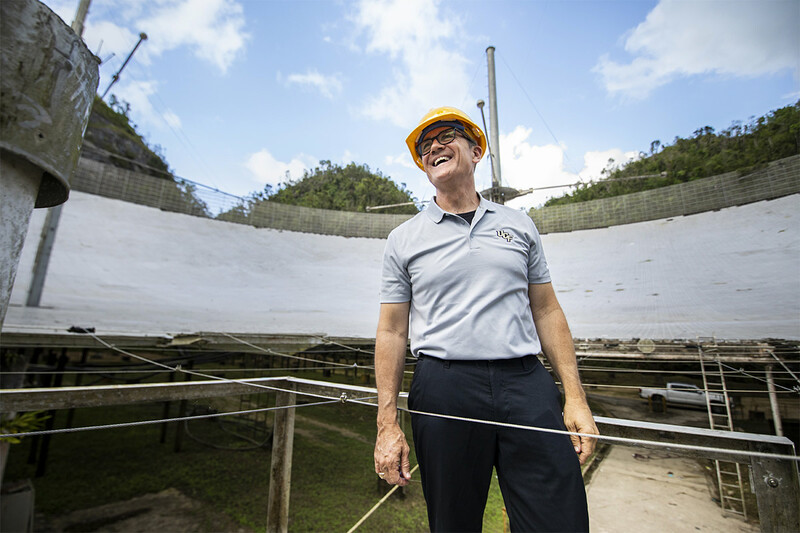 UCF continues to “Reach for the Stars” with its new commitment to manage the second-largest single-dish radio telescope on the planet — the Arecibo Observatory in Puerto Rico. 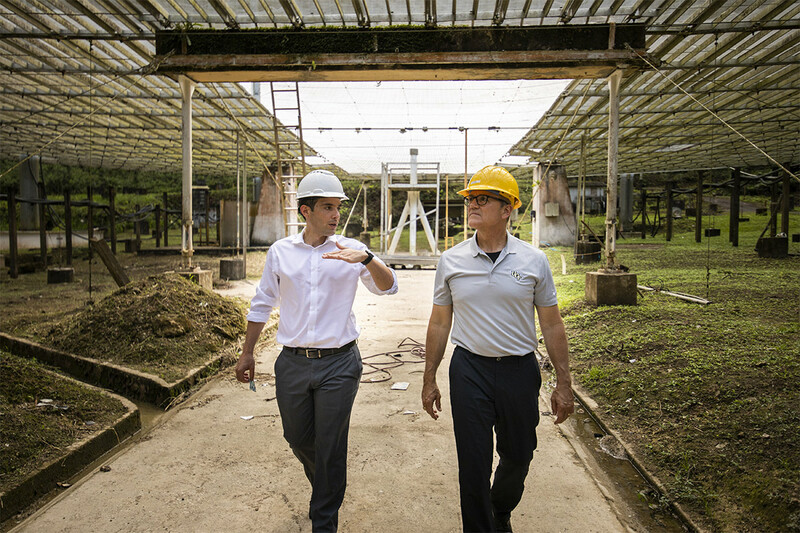 Featured in films like Contact and GoldenEye, AO has played a vital role in many significant scientific discoveries and is responsible for finding and tracking potentially hazardous near-Earth asteroids. 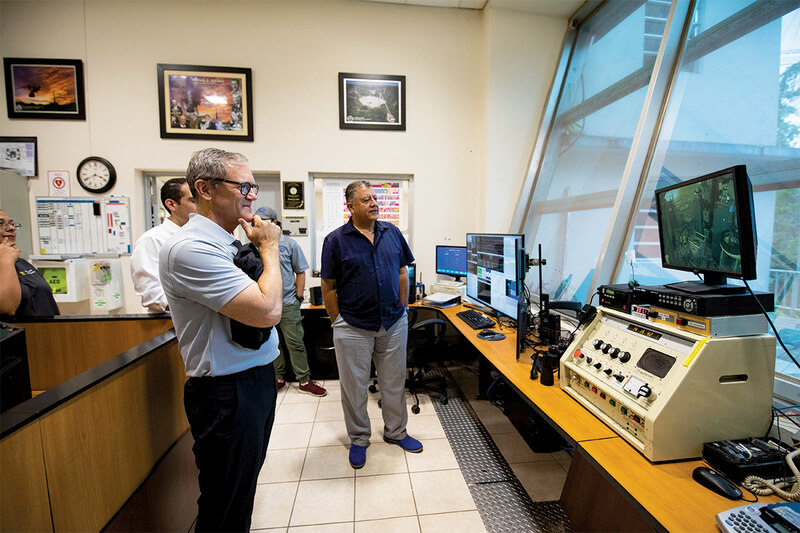 Scientists from around the world will continue to use the telescope to conduct radio, planetary and atmospheric science research. 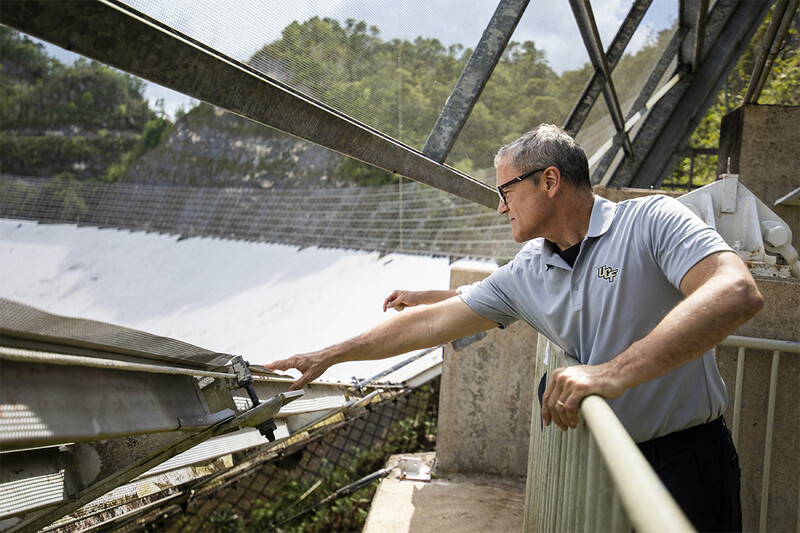 Over the next five years, UCF will work to acquire more funding and partners for the observatory to advance the future of space exploration. 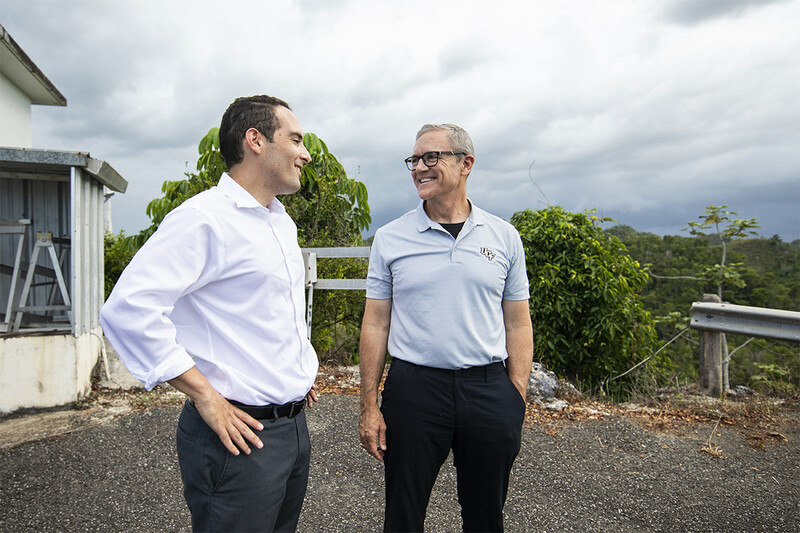 UCF President Dale Whittaker toured the facility and met with officials, such as Electronics Department Head Luis Quintero. 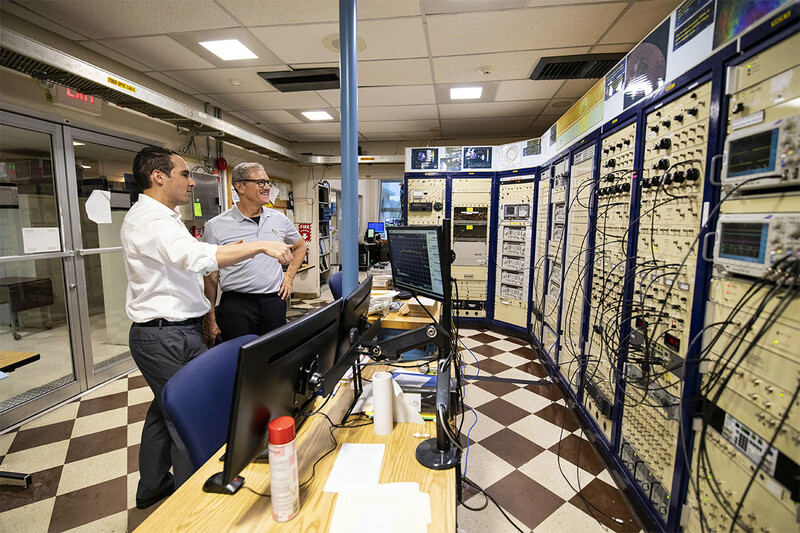 Whittaker and Arecibo Director Francisco Cordova check out the observatory’s original control room. 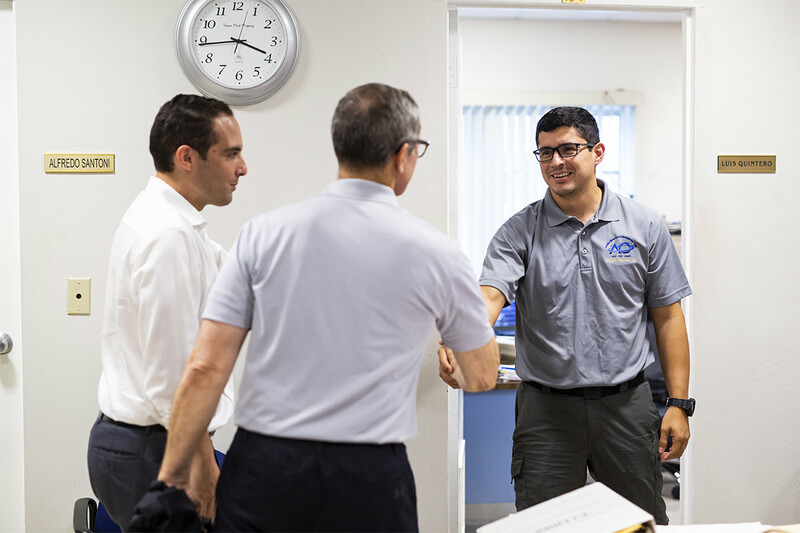 A newer control room offers a different view of the facility. 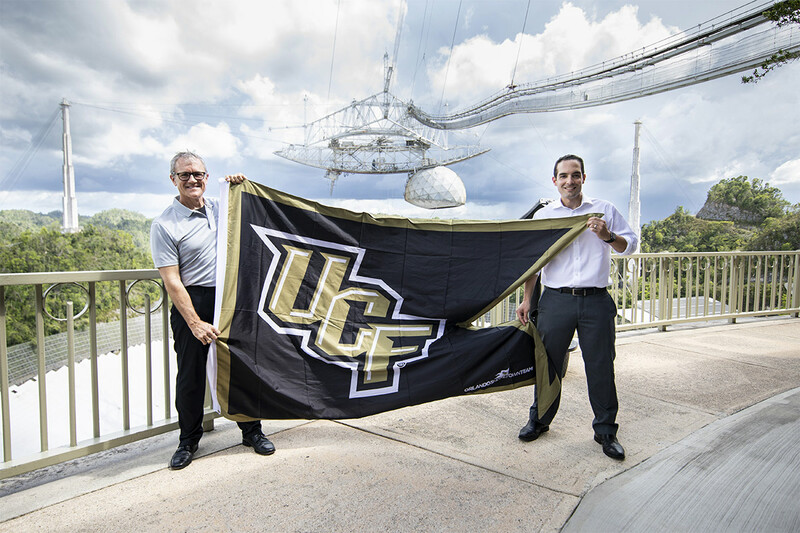 Cordova and Whittaker discuss UCF’s new partnership with AO while overlooking the telescope outside. 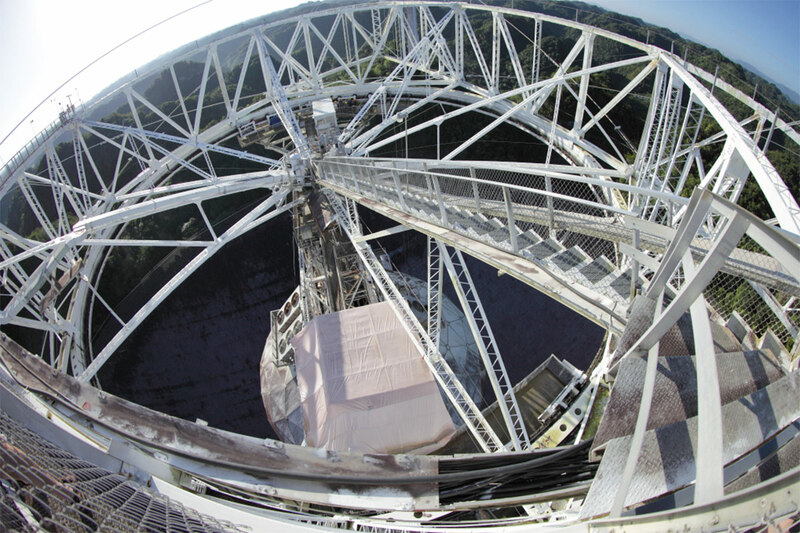 Whittaker reaches over to touch the base of the observatory’s reflective dish. 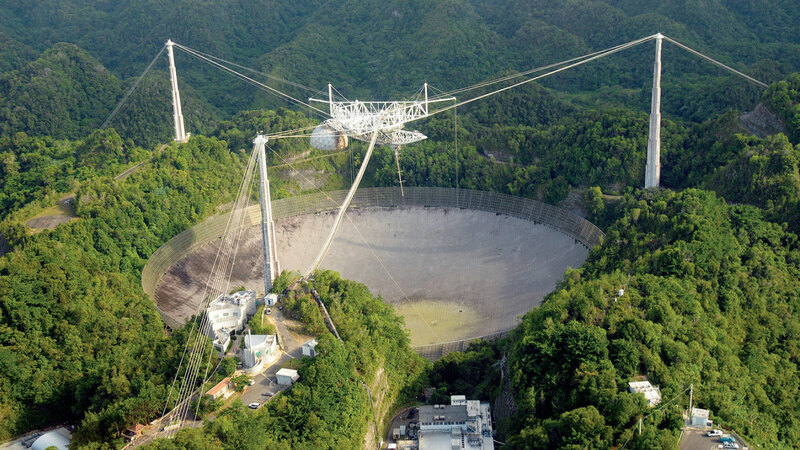 AO is one of the most important national centers for radio astronomy, planetary radar and ionospheric science. Cordova and Whittaker walk underneath the dish while examining the area. 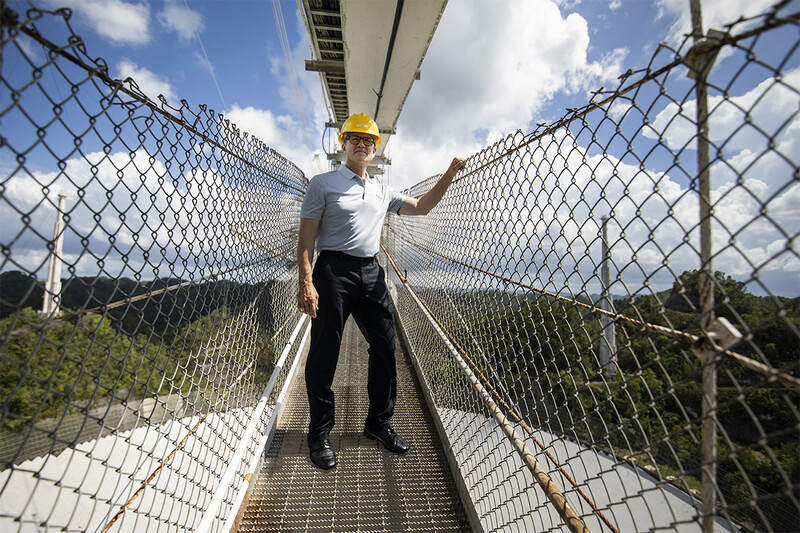 While on suspension bridge over Arecibo, Whittaker takes in the view. Whittaker stands in the base of the observatory. 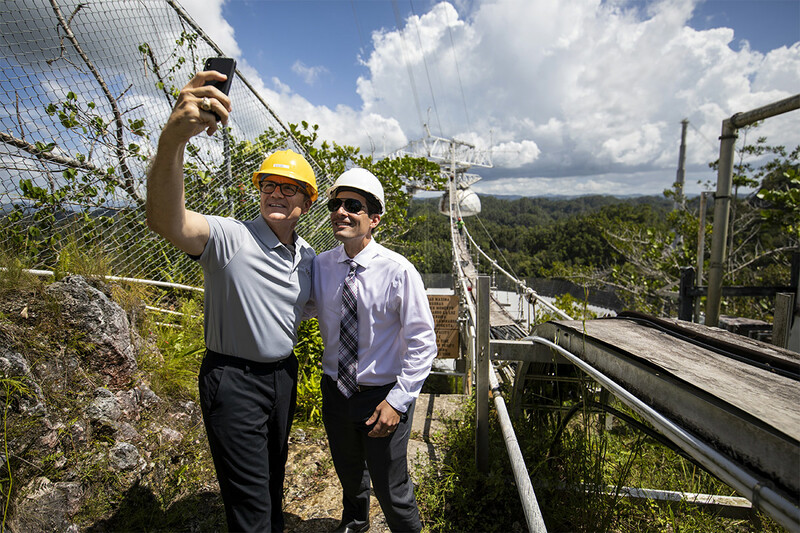 To capture the moment, Whittaker takes a selfie with Cordova. 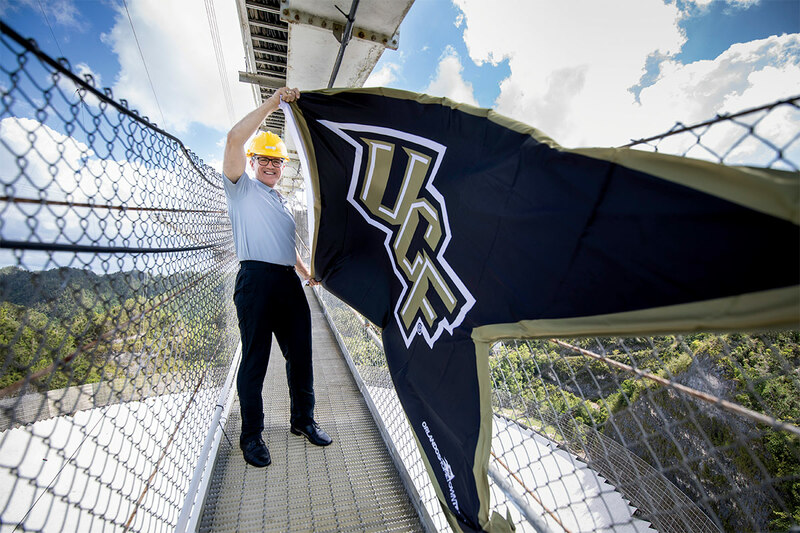 As a gift and reminder of the university’s commitment to AO, Whittaker brought a UCF flag to the facility. Whittaker and Cordova smile with pride as they hold up the flag. Whittaker finally places the flag in its rightful place to fly over the observatory.